In light of the fact that solar & battery system prices have stabilised in recent times, Solar Choice has made the decision to begin publishing our Price Indexes quarterly as opposed to monthly. The next suite of Price Indexes will be published in August 2018 (the Price Index’s six year anniversary); the next one after that will be November. 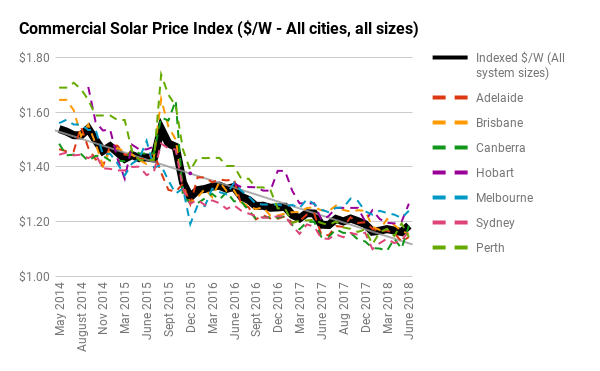 Solar Choice has been publishing average solar PV system prices on a monthly basis since August 2012 in our Solar PV Price Index, which focused on household solar prices and which ultimately became the Residential Solar PV Price Index. 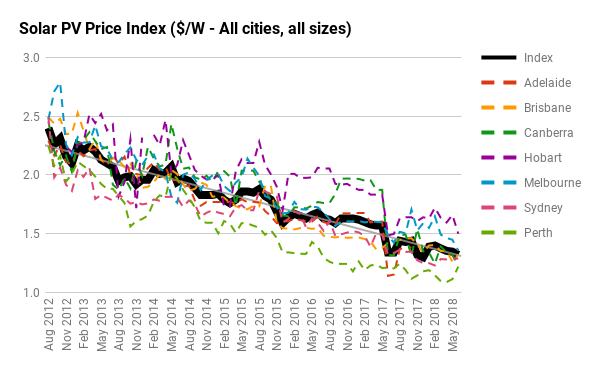 In May of 2014, we added our Commercial Solar PV Price Index for larger system sizes, and late last year we launched our Home Battery Storage Price Index. Our Price Indexes are composed using data from the Solar Choice installer network database, and have become the most consistent bellwether for industry price trends available in Australia. They are widely referenced by government, not-for-profits, media and solar companies alike – not to mention households & businesses in the market for solar and/or batteries. 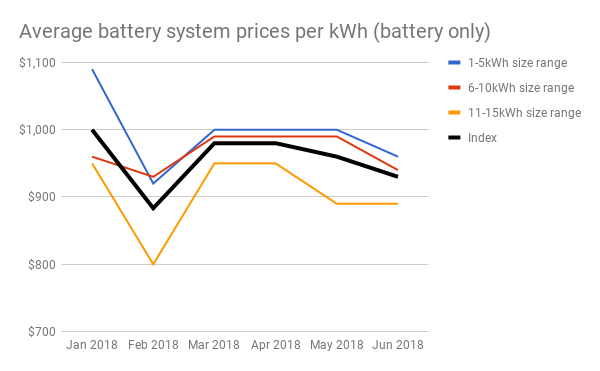 The most recent Price Index for residential & commercial systems (from June 2018) can be found here; battery system prices can be found here. Previous post: ACCC recommends scrapping federal small-scale solar incentive: What does it mean for you?